In case you’ve noticed my absence from my blog, I’ve been working on a book of haibun stories and I am thrilled to report that I am near completing the first draft. Like my previous fiction books, this one is spun around the three poles of self, society, and politics. The emphasis though is different. More about this later. Unusually, for me, the title for this one has been elusive. In the past, I used to have the title before I wrote the book. Not so with this book. I may be asking for your help to pick a title, though how this could be done without prior knowledge of the book is a good question. And another thing! A translation into German of my book of short stories and haibun titled ‘Feeding the Doves’ (Fruit Dove Press, 2013) is being readied for printing as we speak. So that you know, dear reader, I haven’t been skiving! 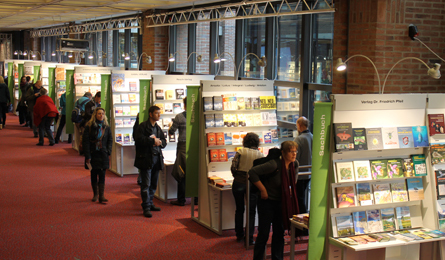 Working on my brochure for the Munich Book Fair 2014, held at the Gasteig, Munich (20 Nov. – 7 Dec. 2014). If you are around, drop in and take a look. I am very much looking forward to the events, especially listening to authors talk about their work. Results! BIG POETRY GIVEAWAY Winners! So that was it! Inter-/National April Poetry Month 2014 is now over and done with! I hope you all had a great month of reading and writing poetry! I did, and I am particularly pleased to have completed the Writer’s Digest PAD Challenge. I wrote a poem a day (and more)! Now time to wind down (by writing a poem a day, of course!). I am also pleased to have taken part in the BIG POETRY GIVEAWAY. This was the fifth year it was organized, but the first one in which I participated. and I will be posting the books to you in a few days. A big thank you to all those who entered the draw. A happy and productive, poetry-filled new month! Two more reviews of my book “Feeding the Doves“: one on Amazon.com, the other on Amazon.co.uk. I am putting together quotes from all reviews with links here. Have you read them all? Every year, thousands of people try to enter Europe without permission. The last two years the numbers have increased. War, civil war, terrorism, famine, drought make their livelihoods untenable, their lives precarious. One of the major routes to the continent used to be via Evros, the river boundary between Greece and Turkey. Since 2012, however, when a fence was erected to block this entry point and after Frontex police increased their presence, new routes were followed: sea routes to Italy and Spain that are even more dangerous and deadly. The rickety boats these refugees use to come in often sink; the borders they try to cross get more hazardous than the journeys. The European countries they enter, ignore or criminalize them, and often send them to holding centers where they are subjected to demeaning, abusive situations, torture, or worse; or sent back to the countries they fled from. And yet, they keep coming. I saw some of those who made it. In Venice, Italy, without support, they bend down hiding their faces, and beg. They hide and live in fear, yet they find this preferable to staying in countries where torture or death awaits them. Unlike those chosen to enter in one of the rare legal, though miniscule, programs of some European countries, these people exist in dire and life-threatening circumstances. This odyssey is acted out all over the world, sometimes by people seeking work to improve their situation in places where they would not normally be entitled to work; most often by people fleeing conflict and persecution. In the Mediterranean countries, the recent conflicts have multiplied the magnitude of this problem. Lately, hundreds of people arrived in Lampedusa and the Italian shores:* alive or dead, they reached this other country where those who survived the journey would have at least the opportunity to fight for a chance of a better life. Wouldn’t you too, in their position? Wouldn’t you? If chance or circumstance placed you in such a predicament? The European Union, though, would not look favorably on your efforts to enter its borders with need and despair as the only passport. For instance, while the talk of new urgent measures is all about increasing funding towards detection of people in flight, as well as (allegedly) improved rescue at sea,* there is also the urge to repatriate and keep the refugees in the place they come from. An out of sight out of mind approach. Except that the situation in their home countries is so desperate that repatriated people try crossing the sea again, and again. A lot more is needed for the nations that make up Europe to acknowledge and accept the plight of the people affected by extreme poverty and poverty-driven wars, often the result of our aggressive policies, economic exploitation, and environmental abuse. Out of this awareness, the Europeans themselves would be able to develop better policies than this drive to isolate, separate, and remove the perceived problem: a concerted European asylum seeker and immigration policy, grounded on the Universal Declaration of Human Rights (and the full United Nations Charter), with a budget and facilities for care and integration (rather than just border control) to back it up. The first models to help us think and plan are already here: A tiny Italian village opened its doors to migrants who braved the sea offering them jobs and homes, creating in the process jobs for the entire village. Even though there is no ideal solution, and new problems arise in new situations, the will, the means, the examples, the aspiration are already here. 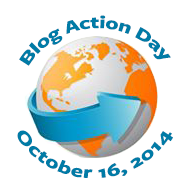 – This post is written for Blog Action Day, 2013 on 16 October 2013. Bloggers from different countries, languages, and interests will have a global conversation about Human Rights. 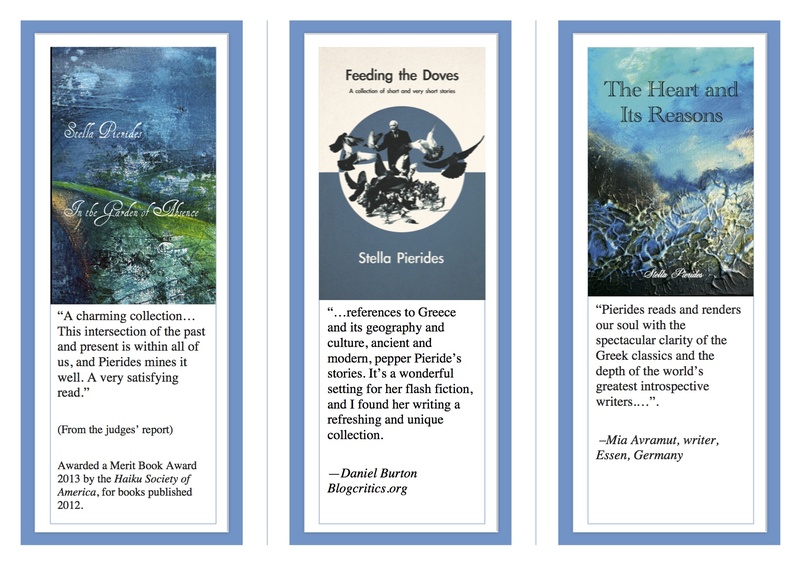 I have published elsewhere a number of stories featuring refugees and their plight – including stories from refugees crossing the Aegean in 1922 – some of which are included in my short story collection: Feeding the Doves, Neusaess, Fruit Dove Press, 2013. *Gazmend Kapplani, Albanian-born journalist, poet, and writer, in one of his FB posts suggests the least the EU could do would be to erect a Monument of the Unknown Refugee. Kapplani’s excellent book, A Short Border Handbook, relates the experiences of Albanian people crossing the border to Greece. **Frontex, the European Agency for external border control, according to a statement of its site, “promotes, coordinates and develops European border management in line with the EU fundamental rights charter applying the concept of Integrated Border Management.” Unfortunately, what this comes down to is that the management of borders takes precedence over human rights. The GoodReads giveaway has ended. 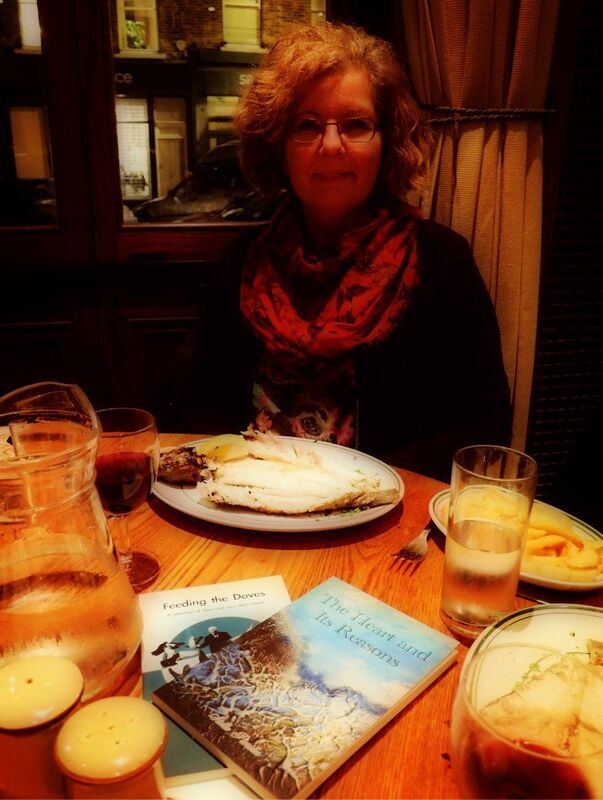 I’m delighted that 608 readers entered to win a copy of my short story book “Feeding the Doves”! Thank you so much to everyone who entered! My heartfelt congratulations to the 12 winners! You can see the winners here. I will be posting copies of the book on the 26th of September. And to everyone else: Thank you so much for participating in the giveaway. If you did not win this time, please know there will be another giveaway in a couple of months’ time. I hope you will try again. October 16th is Blog Action Day, an annual online day of action when bloggers (actually anyone with a public platform) from all over the world blog on one particular theme: This year, on Human Rights! Human Rights Day, commemorating the day in 1948 the United Nations General Assembly adopted the Universal Declaration of Human Rights, is observed by the international community every year on 10 December. This year, the blogging lot contributes from its own unique angle, its multitude of voices, and perspectives, an additional opportunity for observance of this most sacred of human achievements on the 16th of October. Thanks to the adoption of the Declaration of Human Rights, whatever our nationality, place of residence, gender, origin, colour, religion, language, or other status, we can ‘rely’ on the international community to uphold dignity and justice for us. I committed to posting a blog post on the day. It may or may not be a short story on one of the articles of the Declaration of Human Rights. We’ll see. Starting to think about what my post/story could be about, I asked myself, and Google, my constant companion, the obvious question: How many articles does the The Universal Declaration of Human Rights contain? How many do I actually know of? Here is the Declaration if you are interested in checking this out yourself. It includes a simplified, plain English version. See how many you know, and weep! it wouldn’t listen to me.